A thousand-year-old village with an ancient monastery. In one of the most remote regions in the world, you’ll find the isolated village of Lingshed and a stunning 1,000 year old monastery! On this 8-day experience you will cross through beautiful landscapes of the Ladakh mountains, stay with local villagers, and experience the proud, living traditions of Lingshed. Visit a 1,000 year old Monastery, while experiencing the Buddhist culture of the region. Trek through rural India, full of natural beauty & amazing wildlife. Every night, stay with a local family -- eating local cuisine, hearing stories, and connecting with their culture. Hike through the stunning landscape of this high altitude cold desert. Pick up from the airport and arrive at your hotel in Leh (11,500ft). Just rest today and acclimatize yourself to the new environment amidst the picturesque Himalayan landscapes. This is required to adjust your body to the low oxygen levels. After breakfast, head out to tour the monasteries here. Take a visit to the largest monastery in Ladakh, the Hemis Monastery. Visit the Thiksey Monastery, to admire the stunning statue of Buddha Maitreya and its traditional Tibetan architecture. In the evening, spend some peaceful moments at the Shanti Stupa watching the beautiful sun going behind the ghostly mountains. After breakfast, we’ll start our drive to Khupala – the last motorable point from where we start the trek. We’ll drive for 6-7hrs and cross two mountain passes to reach Khupala. The route takes you through beautiful valleys and sceneries. After the last point, we trek downhill for an hour before we reach the village Skyumpata. Overnight stay at homestays in village Skyumpata. Our trek starts early in the morning today. We cross a pass at a height of 14500ft. A 2-hour arduous climb to reach the top and another 2 hours to descend. We reach Lingshed Monastery by the evening. We’ll visit the monastery and the school. Your stay will be in the monastery homestay. Experience a day of village life with the villagers of Lingshed. After the morning prayers at the monastery we attend the morning assembly at this remote school. A chance to connect with our childhood whilst playing with the children. We get to see some local handicrafts, you can take some back with you too. We trek back all the way until the road point where we have our vehicle waiting for us. Today we get to stay in the beautiful village of Photoksar. Another day of adventure as we cross the mountain pass and traverse the valley. 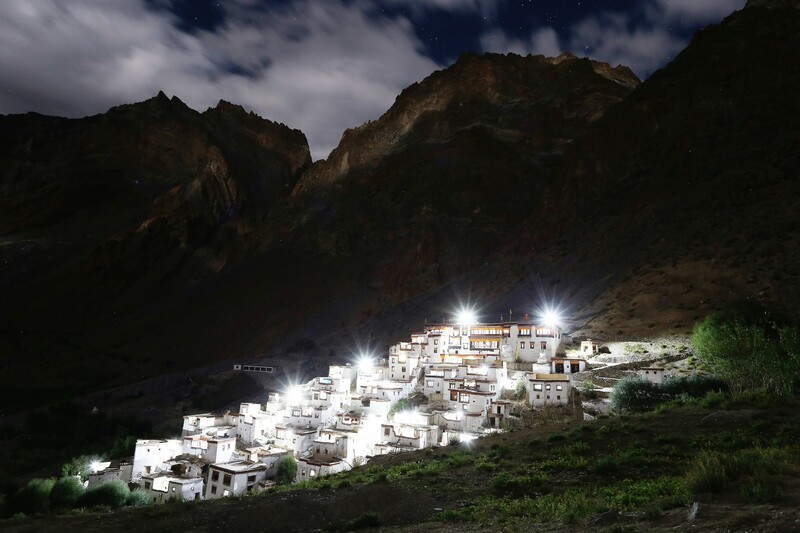 The village of Photoksar looks like from another world. The huge and distinct mountain shapes beautifully carved by nature over millions of years. On our drive back to Leh we’ll visit two very ancient monasteries of Ladakh. Lamayuru monastery is an important spiritual site for the local Buddhists. The monastery is located against a unique backdrop popularly known as the moonland. We’ll also visit the Alchi monastery which is another prominent site of Ladakh well known for its structure and paintings.